​ Mr. Davidson brings a long history of successful financial, operating, turnaround, and restructuring experience to his role as a Principal and Managing Partner of Inverness Group. He has spent the past 30 years in the area of turnaround management, including senior management positions and Court-appointed roles in selected restructuring and reorganization processes, as well as hands-on responsibilities with the firm’s larger and more complex advisory engagements. Among his direct management roles and in addition to his engagements as advisor to management and ownership, Mr. Davidson has served as President and Chief Executive Officer and Director of PACCESS LLC and its operating affiliates, a $400mm+ revenue privately-owned Portland and Shenzhen, China-based company directing the manufacture and supply of core materials and packaging to major US brands through its extensive Asian and European network. He served as Chief Restructuring Officer of States Industries, Inc., a 250-employee Eugene-based commercial wood products engineering and manufacturing company, and directed the recovery, restructuring within the Ch 11 process, and sale to a private equity Buyer. During his role as Chief Restructuring Officer, Mr. Davidson directed the reorganization and sale of FiberCloud, Inc., a Seattle-based multi-location data center and managed hosting subsidiary through Media Venture Partners (San Francisco). Mr. Davidson was interim President & Chief Executive Officer of Cumetrix Data Systems, a publicly-held (Nasdaq) computer and internet tools development company based in Los Angeles, and as Chief Restructuring Officer in the successful Chapter 11 reorganization of States Industries, Inc. (Eugene, Oregon), a leading national wood products manufacturing company. As Senior Vice President and Chief Operating Officer of Hind, Inc., a leading California-based manufacturer and retailer of technical apparel products for the performance sports industry, he successfully directed the Company’s out-of-court restructuring program and negotiated the sale of the business to Saucony, Inc., a Boston-based public company and manufacturer of athletic shoes and apparel under the Saucony brand. He also served as Managing Director under the Court-supervised restructuring and successful turnaround of International Aero, Inc., a Washington-headquartered manufacturer and FAA-authorized repair contractor for commercial aircraft components. Mr. Davidson directed the stabilizing and restructuring of the business prior to and after the effects of the Sept. 11, 2001 events on the aircraft industry. In these and numerous other cases, he developed and initiated implementation of interim and long-term restructuring steps, addressed key management issues to allow focus on value to business stakeholders, and positioned the businesses for recapitalization and transition at the direction of the Boards. During 1989-1991, he directed engagements on the West Coast for a national consulting firm specializing in turnaround management and financial/operational restructuring for middle and upper middle market clients. Mr. Davidson received the firm's Consultant of the Year award in 1990. Mr. Davidson has served as Court-appointed Receiver and as senior Debtor management in numerous operating cases primarily on the West Coast. He is qualified as a Chapter 11 Trustee and Examiner and has directed business reorganization and asset dispositions both under negotiated solutions among stakeholders, and within formal state and federal court processes . Mr. Davidson received his undergraduate degree from UCLA and his Master's degree in International Business from the American Graduate School of International Management (Thunderbird - ASU). He is qualified as a Court-appointed Bankruptcy Examiner and Chapter 11 Trustee and has served as Court-appointed Trustee, Administrator, and Receiver in various operating cases involving sales of going concern businesses and managed asset dispositions. 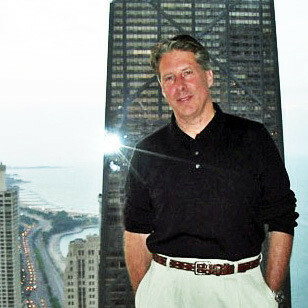 He has been a member of the Turnaround Management Association (TMA) – Chicago and the AIRA. Mr. Davidson is a featured speaker at various courses, forums, and programs at the University of Oregon – Lundquist Graduate School of Business, and Portland State University – Graduate School of Business. Selected Engagements, including state receiverships, Chapter 11 bankruptcies, and out of court restructuring / turnarounds, are listed here .